Hilton President Kansas City boasts 213 luxurious guestrooms and suites, refined dining experiences, including the famous entertainment lounge Drum Room, and over 12,000 square feet of flexible meeting space. 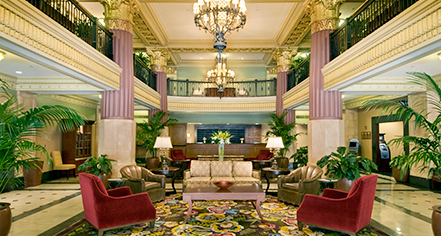 Offering an extensive array of amenities, combined with a high degree of refreshing hospitality and service, this historic AAA Four Diamond hotel is prepared to serve every guest in the same gracious manner enjoyed by presidents and celebrities during its long, colorful past. 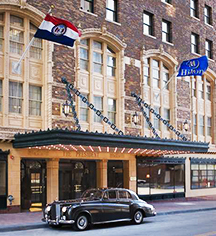 Hilton President Kansas City, a member of Historic Hotels Worldwide since 2015, dates back to 1926.